We need to be more user hostile to help them embrace freedom! These fine folks make it possible to run The Daily WTF. The Daily WTF has an IRC channel #thedailywtf on the Freenode IRC network where you can find regulars visiting the site. You can join in through your browser by using the webchat or by connecting with an IRC client. Not so long ago in 2015, Carl C. was asked to give a talk to an amateur radio club. The venue was a local church that rented out their meeting hall to various community groups, businesses, and even the odd academic session. The space boasted a multimedia setup with several video screens, making it a great place at which to present. Ben M recently inherited some code from some Highly Paid Consultants. These consultants needed to be able to set some flags to control the behavior of the application, and for whatever reason, these flags needed to be strings. It probably wasn't a good reason, but there was some reason. The consultants wrote the module which set the flags, and guaranteed that the flags were only ever "true" or "false". To parse those flags back into boolean values, they did it the true Highly Paid Consultant way: they used a generic "string to boolean" solution they copied from Stack Overflow instead of Boolean.Parse, the built-in C# method for turning "true" into a boolean value. 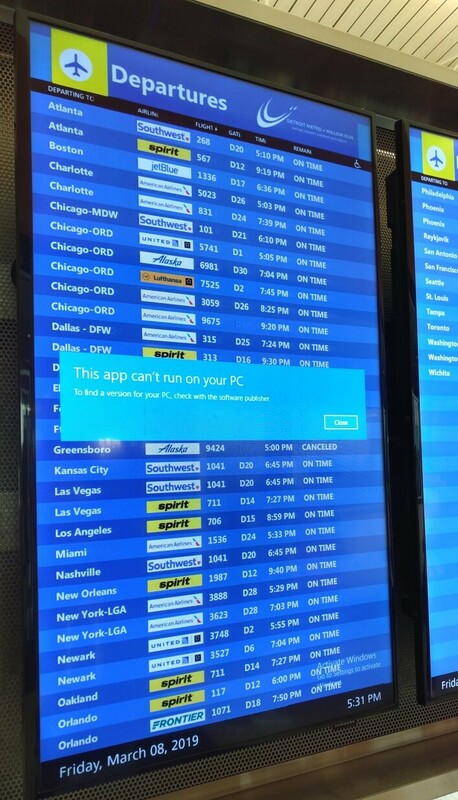 Gordon S. wrote, "In seeing how someone botched the deployment of Windows on the flight boards, I sure hope that's ALL that admin was allowed to work on." There are many moments where our multi-threaded code needs to gurantee only one code path is executing at a time. That’s why we have locks, semaphores, mutexes, and so on. But those are all pretty complicated. Vincent H recently was reviewing someone’s code, and they found a far more elegant solution, which simply uses booleans. Alvin had the fortune of working with an exceptional talent while he was employed at Virtucon. Bart knew how to do everything from desktop support to software development to database administration to IT security. Not only was he proficient in all of them, he also knew them better than those with many years of experience. Bart had been with Virtucon since the early days, racking up nearly 20 years of tenure. During this time, he 'mastered' everything and asserted himself to the point that no changes could happen without his approval. His changes were auto-approved because of course any idea he had was a good one. This led to myriad problems for fellow IT people like Alvin, who were hired after Bart. We all just love ternaries around here. So much. A powerful form of code golf, they can clarify and they can confound, but usually it’s just confounding. 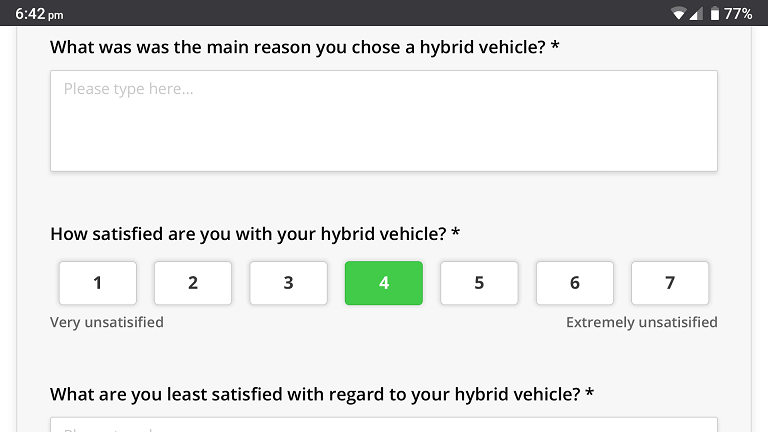 "Does this mean that Toyota believes that hybrid owners are fundamentally unhappy with their cars?" writes Thom.